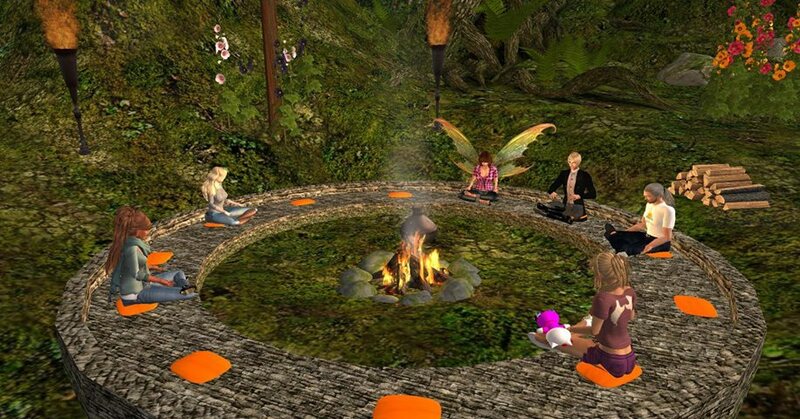 Since 2014, Baha’is have been actively promoting an “Interfaith Prayer Network” in Second Life, seeking to promote interfaith harmony, understanding and collaboration through a unity in diversity of approaches to prayer. 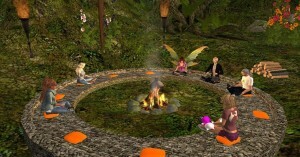 An SL group was formed to help coordinate and announce the events, and the diverse faith-based communities and spiritually-oriented groups in SL were invited to open their prayer events to other religions or to start new “interfaith prayer circles”. Interfaith prayer circles are simple, open, informal events where participants are invited to share prayers and inspirational thoughts from diverse origins and in any language. They gather people of all convictions around the shared ability to attune our hearts and minds to the Transcendent, no matter how we understand or name it. There is usually no pre-established service or ceremony involved; rather, all are welcome to share their prayers or inspirational thoughts in voice and/or text, or simply enjoy what others share. Interfaith prayer circles are on Fridays at 5:30 p.m. SLT. Baha’is honor Krishna, Moses, Zoroaster, Buddha, Jesus, Muhammad, the Báb, Baha’u’llah, and other Divine Messengers, who increase the spirituality and peace of all humankind. 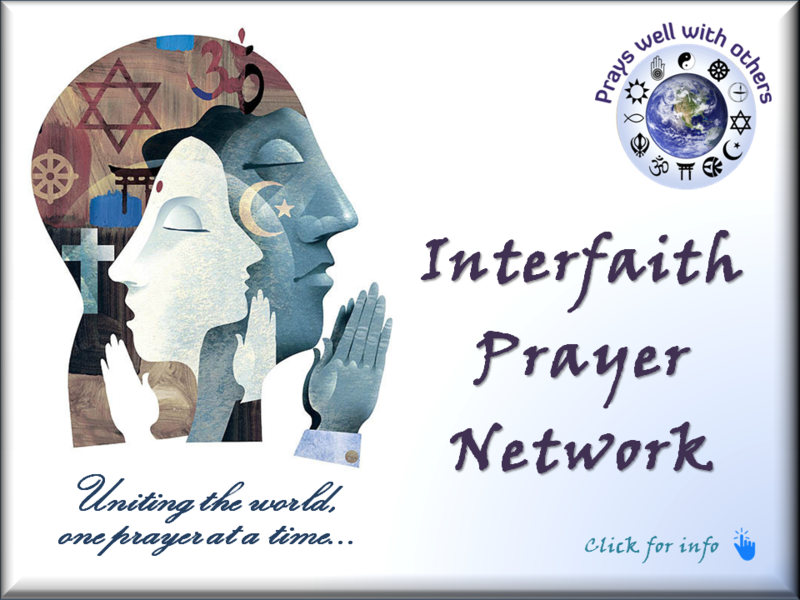 Interfaith prayer circles are on Sundays at 5:30 p.m. SLT. The celestial Living Light build is designed to heighten the spirituality of all visitors, from whatever conviction or tendency. Interfaith prayer circles are on Wednesdays at 6:00 p.m. SLT. This traditional Hindu ashram is designed to gather people of all paths to share inspirational events in harmony. Interfaith prayer circles are on Tuesdays at 2:00 p.m. SLT, on the second floor of the main Conference Center building of First UCC Island (72, 180, 37). 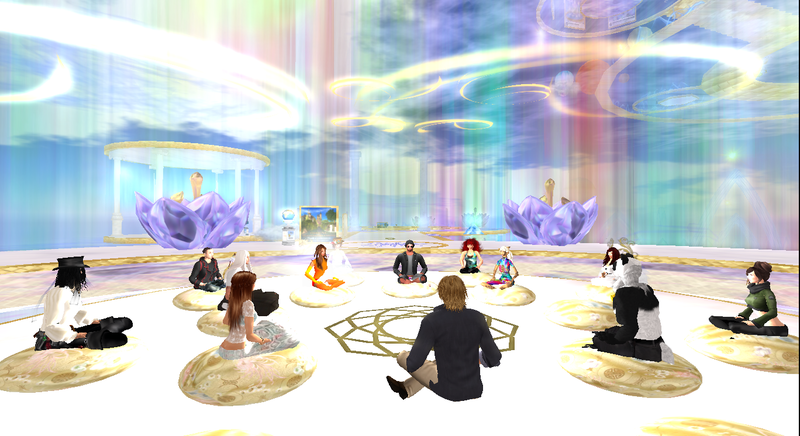 The First UCC SL welcomes all in a very inclusive and open fellowship. 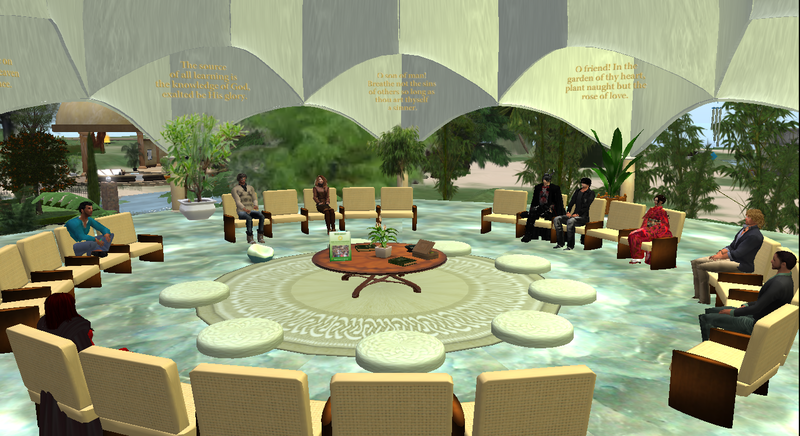 You can request a current calendar of interfaith prayer circles from the notice board in front of the Baha’i Lotus Temple in Second Life.